The final installment of case studies focusing on Wirral Metropolitan Borough Council takes a closer look at how Local Insight has supported place-based commissioning across the Borough. The previous case studies have covered the efficiency saving elements as well as the opportunities for sharing information across the organisation. The work Wirral have carried out on place-based care localities combines the two to demonstrate real world applications of Local Insight. 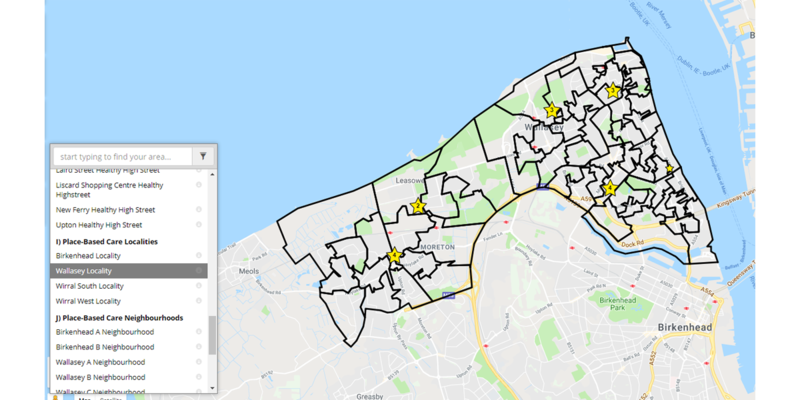 The flexibility to create and edit areas easily, as well as an interactive platform on which to share data allowed the Wirral Intelligence Service and the Clinical Commissioning Group (CCG) to define the geographic boundaries for the place-based commissioning localities. Place-based commissioning is driven by CCGs and is a different way of thinking about delivering services. Previously, public health commissioning had been based on providers, for example, looking at a population based upon the users of a hospital of a GP practice. Now Wirral are looking at this in a more geographically focused way. This allows the Council and CCGs to better allocate resources based upon the needs of the local people – rather than simply what funds a particular hospital has to spend. The Wirral Intelligence Service were tasked with creating some custom geographies for the Wirral, based on place-based commissioning models. Understandably, the process went through a number of iterations before deciding on the final geographies. The Wirral Intelligence Service uploaded the proposed areas into Local Insight so that they could quickly show the CCG what the areas were looking like. They also sent across background figures to the CCG around what the population is like, as well as showed them which services reside in the area. The final boundaries are now loaded into Local Insight, and can be accessed at any time by the CCGs and Public Health teams. All of the data is regularly updated and the teams can explore the area and local needs on an ongoing basis. 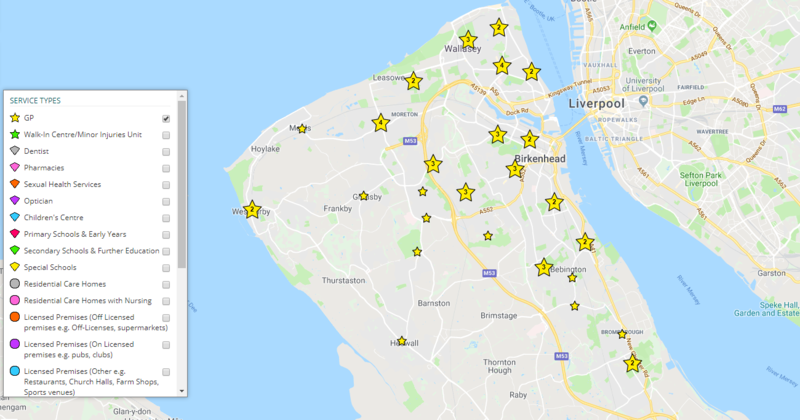 Take a look at the localities for yourself on Wirral’s public site by clicking on the Areas icon on the left hand side and scrolling down to I) Place-Based Care Localities. If you would like to see how Local Insight could save you time, support partnership working and make sharing information easier – sign up a for a free trial of Local Insight.